Awarded a Which? Best Buy in January 2018! Breathable, durable, comfortable: 3 words that perfectly describe the Dunlopillo Millennium mattress. Featuring pressure-relieving responsive matrix, in a medium firmness, this mattress is the perfect answer for a restful night’s sleep. 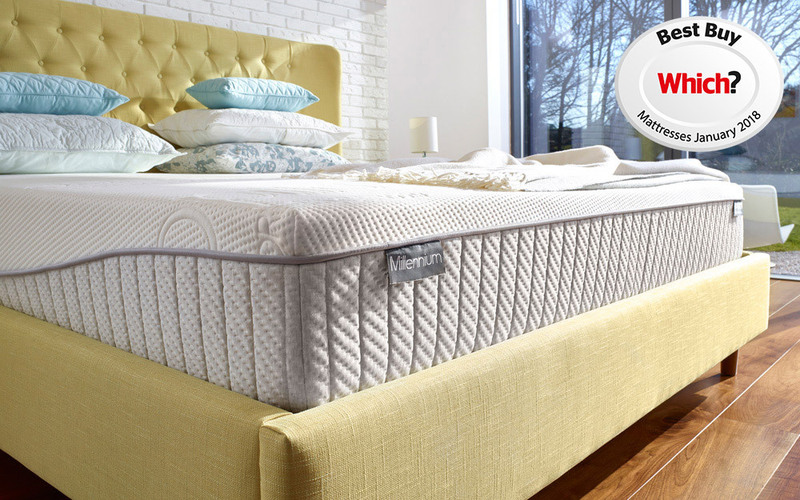 Sprinkled with an extra deep comfort core and a soft-touch Actipro cover, the Millennium is a simply brilliant investment for your sleep environment.